I miss the dungeon crawlers on the PC and with no real Dungeons & Dragons game available or more specifically Diablo III, what is a gamer to do? The answer is Torchlight! If you’ve seen the trailer or the screenshots for Torchlight, than you may be thinking that this is a Diablo clone but with more stylised cartoony graphics. 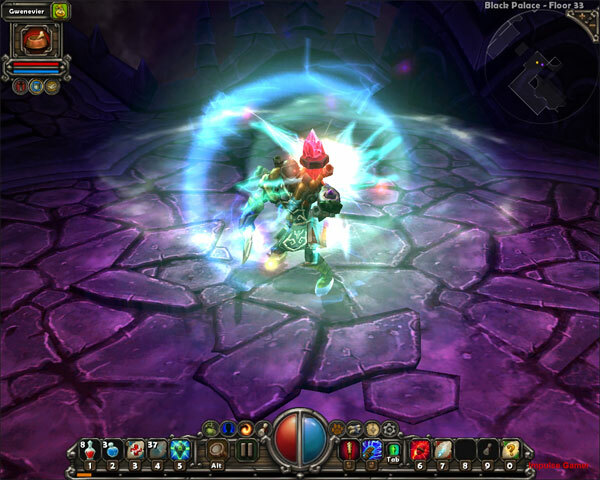 If you are, you’re actually correct because Torchlight is created by two of the designers of that popular "D" franchise and this game returns dungeon crawlers to its humble roots in this addictively entertaining RPG hack and slash game. The story revolves around you and your pet (that’s right), pets play a very cool and integral part to the game as you have been called to investigate a rogue hero. Although Torchlight is a humble mining village that happens to be built next to one of the world’s greatest deposits of ember, a mineral with magical properties, it seems that our good hero Alric has been corrupted by its magic. Your objective is simple, explore the hundreds of dungeons in search of answers about Alric and of course, booty up with all the goodies that you find. Unfortunately, everything and anything in these dungeons likes a good hero luncheon but thankfully, you have a plethora of weapons and armour to assist you. Before embarking on your quest, you need to select one of three character classes available that include hybrid versions of the classic RPG fighter, thief and mage. There is also an element of steam punk employed into the game and although it contains all the monsters and weapons from the Sword & Sorcery genre, it also contains technology from guns to even robots. Once you have chosen your character and given them a name, you’re pretty much thrown into the deep end as you slash, shoot and magic your way to victory. Just like the standard RPG archetype, you are awarded experience points for killing them that allows you to level up which is increasing your statistic to make your character more powerful. The game is pretty much a point and click interface which works well but the inclusion of a pet, such as a dog or cat does add some cool tactics to the game. Not only do they help you in battle but they can also run back to town for supplies which saves a tremendous amount of time. The level design of Torchlight is well thought out and certain levels give great depth perception. The good thing about the level design is that as you progress, the levels change and it’s not just a palette change but you can actually see things change in the environment. The missions in the game involve your traditional hack ‘n’ slash variety of find an object for an NPC, kill a NPC etc, and if you go on the side quests, they will give you more chances to find better items and of course, assist in quickly building up your experience points. 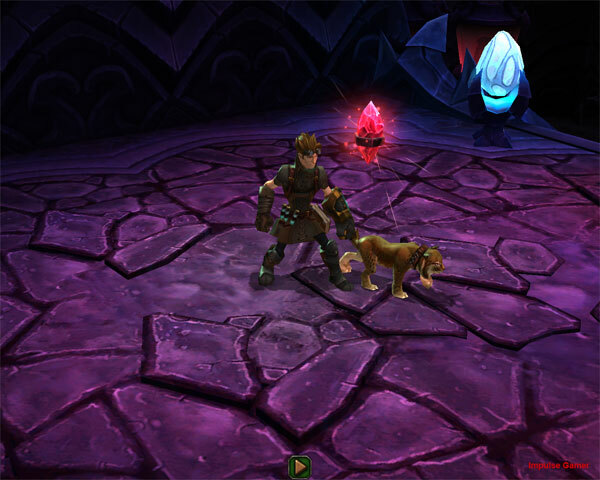 Graphically, the world of Torchlight looks quite cartoony with stylised characters, vibrant colours and larger than life characters. Even though it’s a completely different view to the World of Warcraft, it sort of mimics their cartoon inspired graphics. It should also be noted that this game is quite violent and because it’s more cartoon than realistic, it doesn’t pose any huge disturbances but it would make a few horror movies blush with the overtop usage of it. 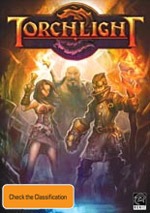 Thanks to Diablo composer Matt Uelman, the soundtrack of Torchlight gives the player a great ambient musical experience that adds to the whole RPG atmosphere. Final Thoughts? 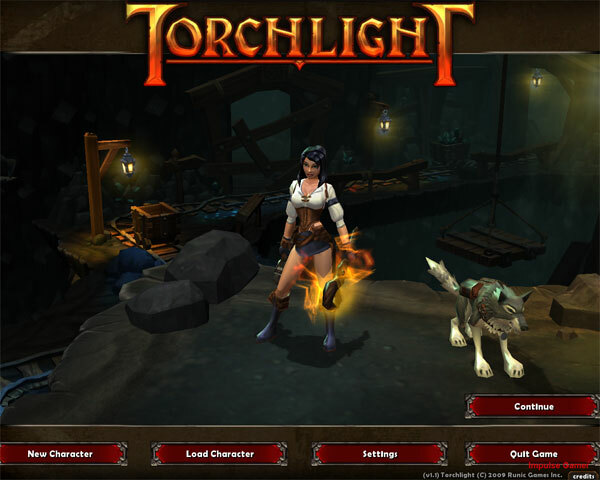 Torchlight is a very addictive RPG experience that offers a good old fashioned RPG experience that although does try to be clever, actually succeeds, especially with how easy the game is to play. Best of all is that the game can be played on a variety of different PC configurations with a minimal amount of tweaking required, if at all any. The engine is perfect and the graphics actually suit this faux steam punk D&D universe and if I could only ask for one thing, it will be multiplayer. However don’t let this impede the purchase because as a solo-player game, this title far exceeded my expectations and delivers on many levels.